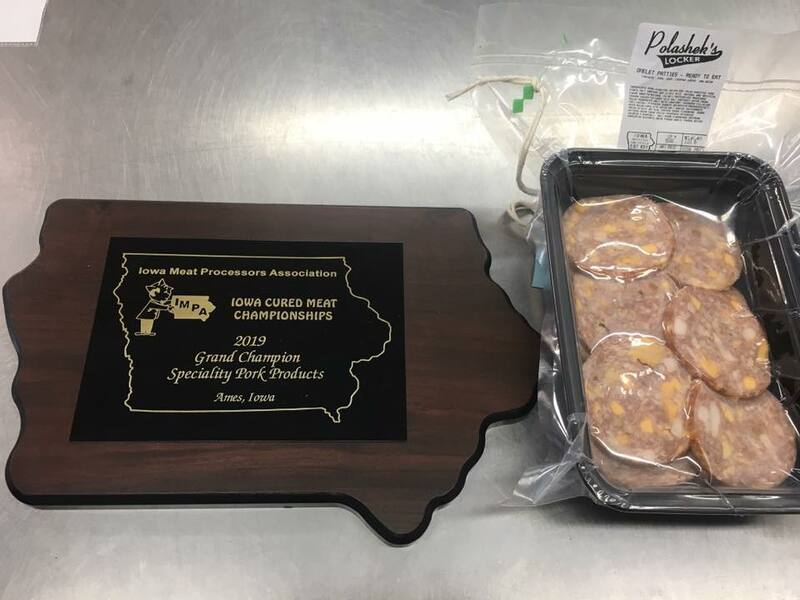 Awards - Polashek's Locker Service Inc.
We are proud to bring home Grand Champion Innovative Pork product from the 2019 Iowa Cured Meat Competition. Ready to eat Omelet Patties. 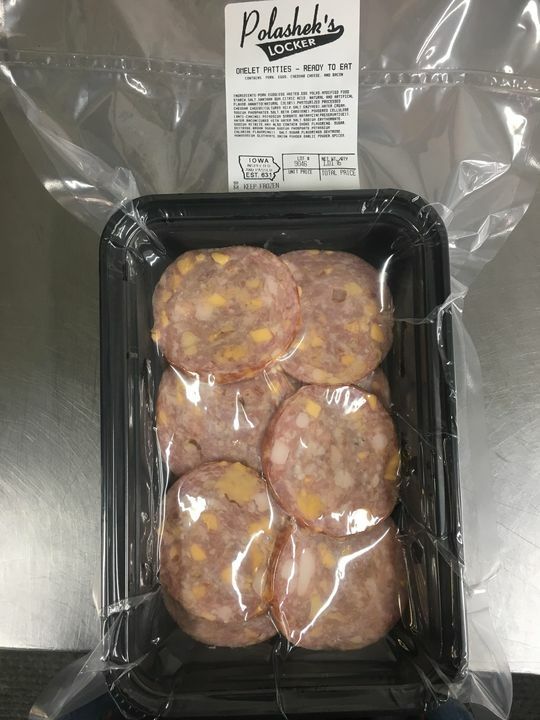 They contain pork, eggs, bacon, and cheese. Czech it out the next time you are in! Iowa Meat Processors Association held the 83rd Anniversary Convention and Trade Show in Ames, February 14-17, 2019. Approximately 275 people representing 39 processing plants and 44 supplier members attended the event. 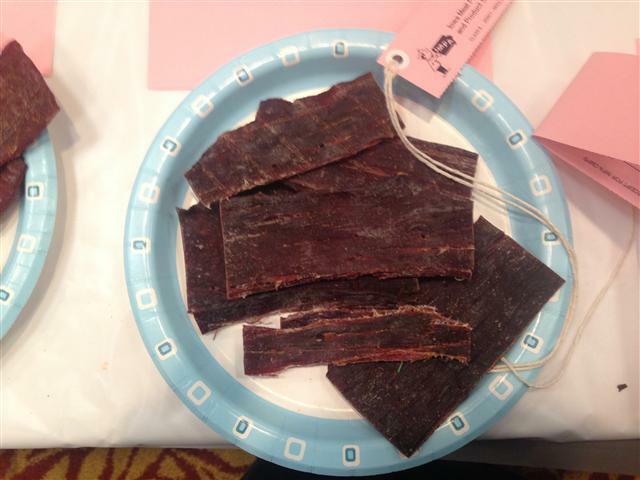 Cured Meat Competitions were held with the top entries taking home plaques. The awards were presented on Saturday evening at the awards banquet attended by 200 people. There were 305 meat entries from 25 processing plants. There are twenty classes that a meat processor can enter. The products were judged by teams of thirty professionals from Iowa State University and several other universities as well as some industry experts. Products are scored on external and internal appearance, flavor, aroma, and workmanship. 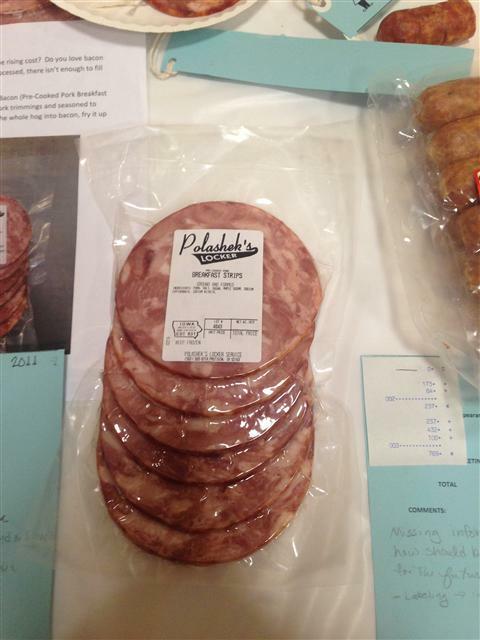 Polashek's Locker entered the Grand Champion Innovative Pork Product in the competition. 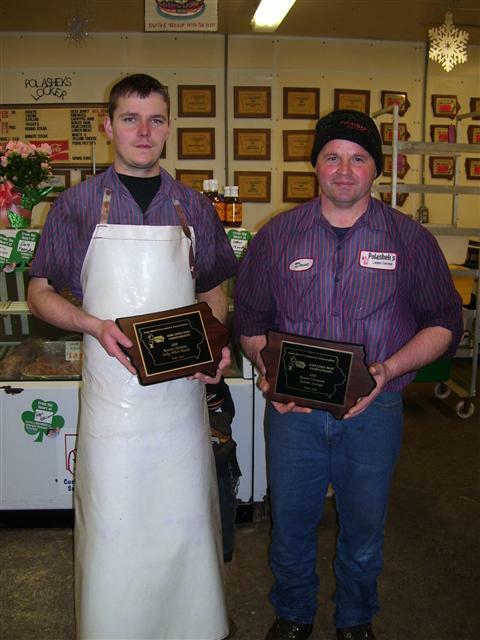 Paul and Adam Polashek, owner/operators of Polashek's Locker Service in Protivin, received the following awards in the competition. 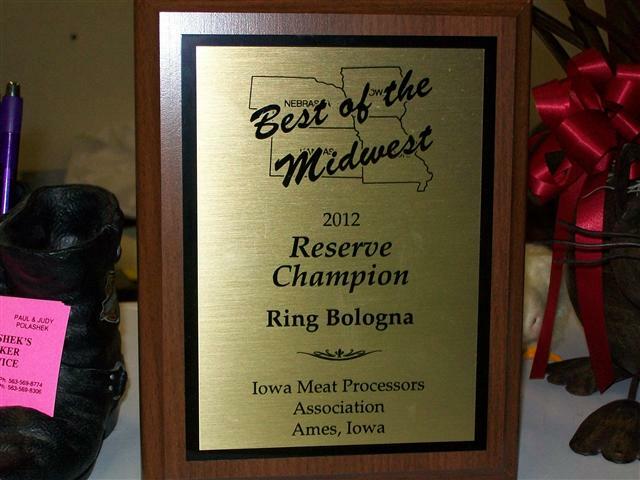 Polashek's Locker wins 3 awards at annual Iowa Meat Convention. 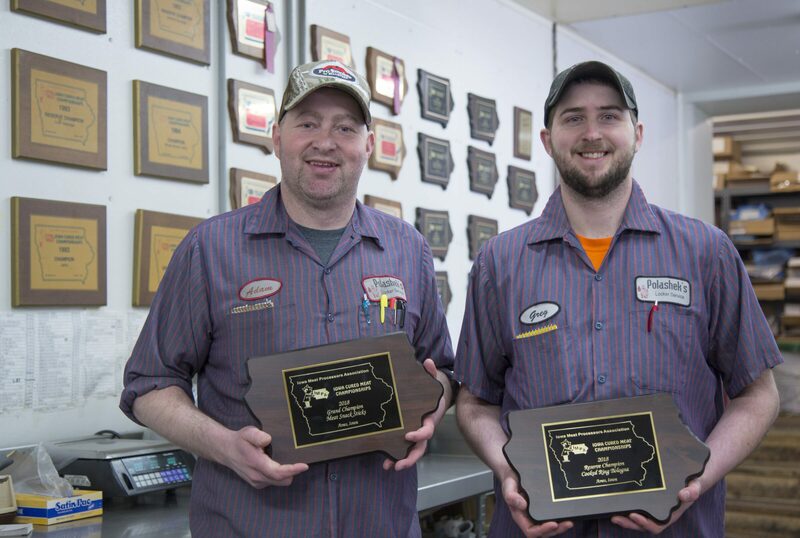 Paul and Adam Polashek from Polashek’s Locker attended the annual Iowa meat convention. The 81th Annual Convention of the Iowa Meat Processors Association was held at the Gateway Hotel & Conference Center and the ISU Meat Laboratory in Ames, Iowa on February 16th-17th, 2017. 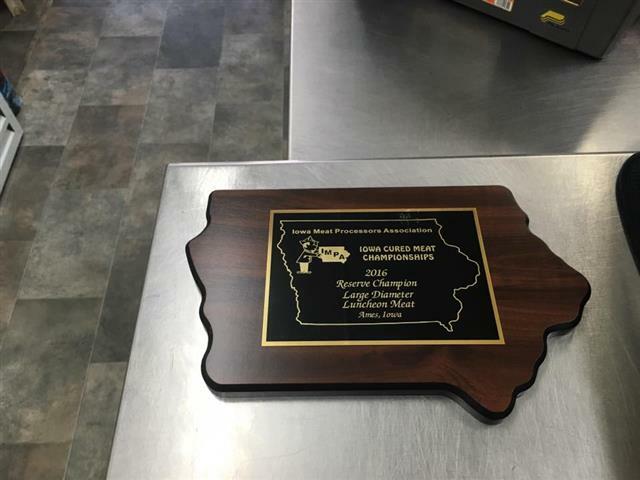 Polashek’s Locker Service has been going to the Iowa Meat Processors Association Convention, and bringing home awards, since 1985. The company has won so many, there isn’t room left on the “Trophy Wall” to put them! This year wasn’t any different as Paul and Adam Polashek made the trip to Ames for the Iowa Meat Processors Association’s 81st Anniversary Convention and Trade Show Feb. 16-17. Forty-one processing plants and 40 supplier members attended the event. 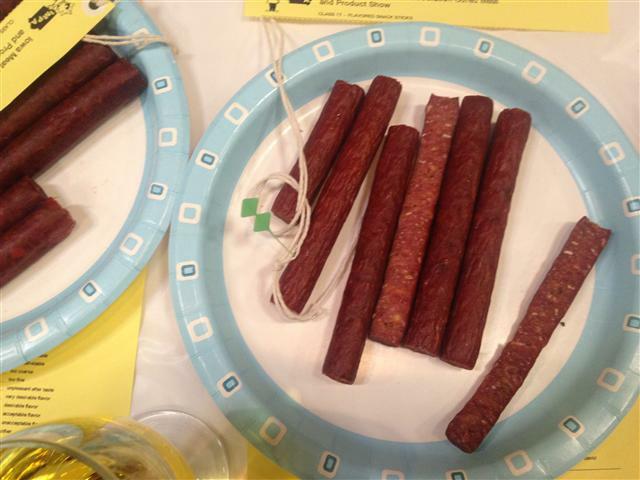 Cured Meat Competitions were held with the top entries taking home plaques. With 313 meat entries from 27 processing plants and 20 classes, the competition was as intense as ever. Thirty professionals judged from Iowa State University and several other universities, as well as some industry representatives. They returned home with two Grand Champion plaques and one Reserve Champion plaque. For the Polashek family, going down to the convention and trade show is more than just competing. There is a lot of equipment and “deals” showcased at the convention. Polashek’s Locker Service has 10 employees. They keep busy year-round, and Saturday mornings are especially busy. 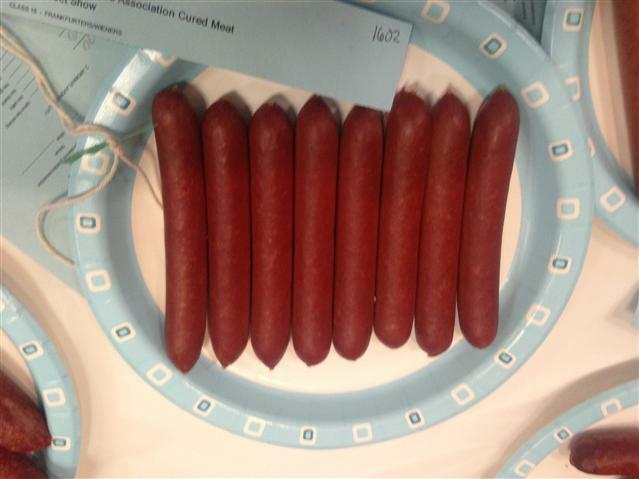 Adam shared that their most popular products are hot sticks, wieners, bologna, summer sausage and the smokies. They also showcase a fresh meat case and local favorites like head cheese and jaternice. So maybe someday you may want to meander down to Protivin to get some of that award-winning fare or local favorites. Either way, you can’t go wrong at Polashek’s Locker Service, where you are welcomed with a smile and served with small town pride. 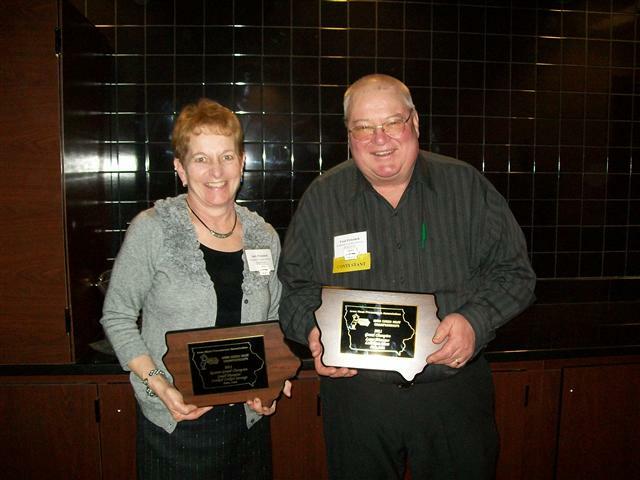 Polashek's Locker wins 2 awards at annual Iowa Meat Convention. 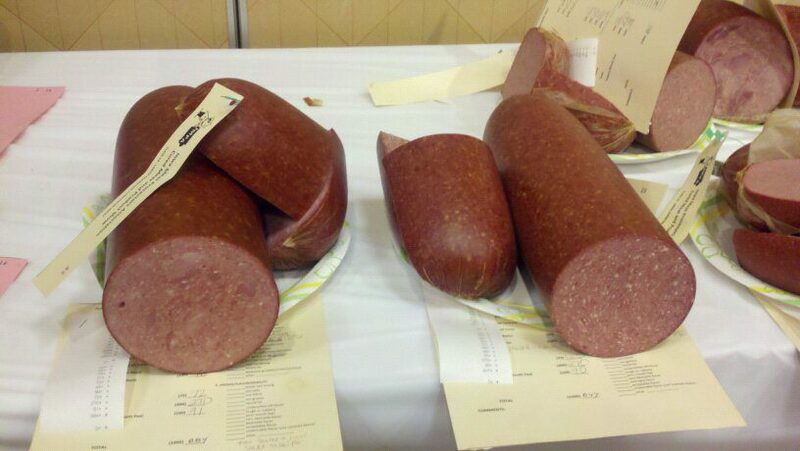 Award winning Lunchmeat and Wieners can be purchased at Polashek's Locker or at a handful of grocery stores that carry Polashek's Locker products. 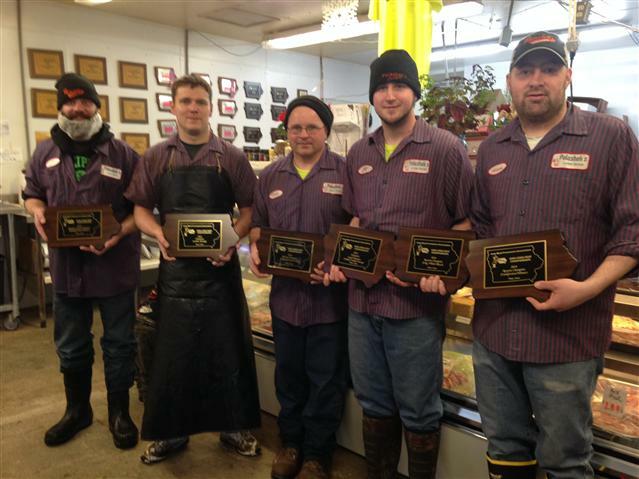 Polashek's Locker wins 4 awards at annual Iowa Meat Convention in Ames. Polashek's Locker wins 6 awards at annual Iowa Meat Convention in Ames. 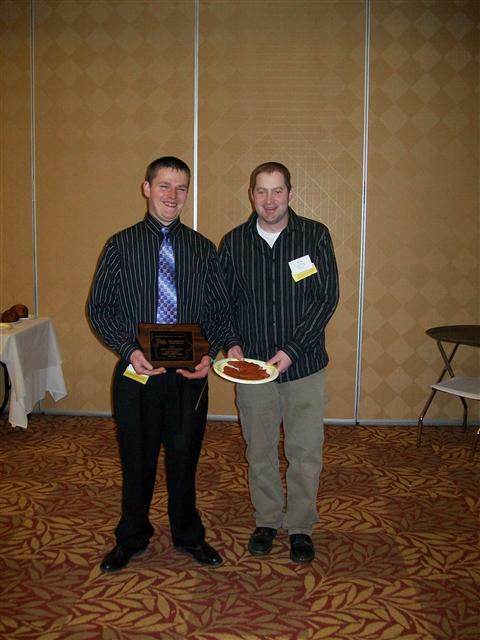 Paul and Adam Polashek from Polashek’s Locker attended the annual Iowa meat convention. The 78th Annual Convention of the Iowa Meat Processors Association was held at the Gateway Hotel & Conference Center and the ISU Meat Laboratory in Ames, Iowa on February 13-16, 2014. The convention participants attended seminars on the uniform meat identity standards, production of specialty fresh sausages, specialty flavored burgers, plant sanitation regulations, merchandising and marketing, and setting up a business succession plan under the direction of Dr. Joe Cordray, Meat Extension Specialist at Iowa State University. 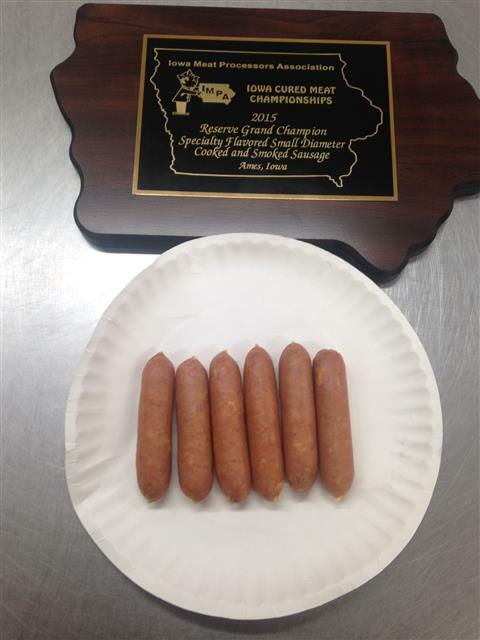 A total of 277 products were entered in the annual Iowa meat competition. 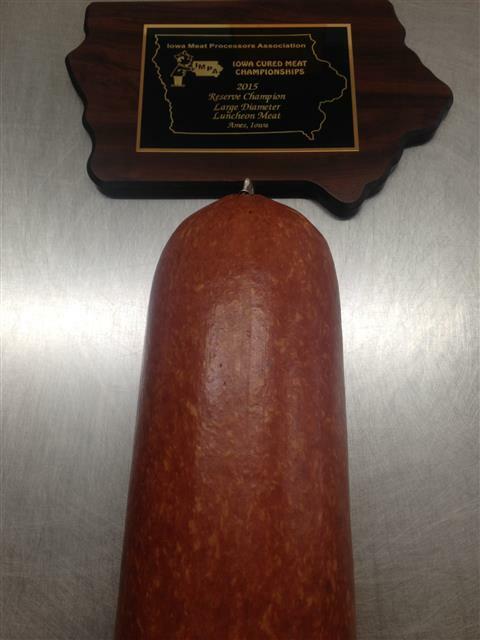 Polashek's Locker wins 1 award, Grand Champion #1 in the state, Smokies at annual Iowa Meat Convention. 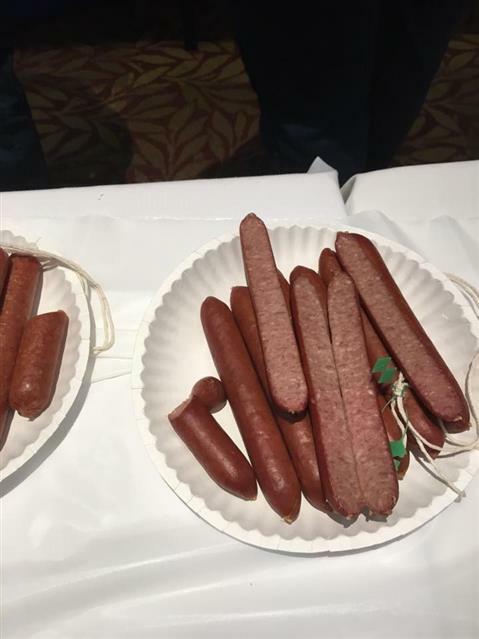 Polashek's Locker Service in Protivin won Grand Champion Small Diameter Smoked Cooked Sausage (Smokies) in the cured meat competition at the convention. 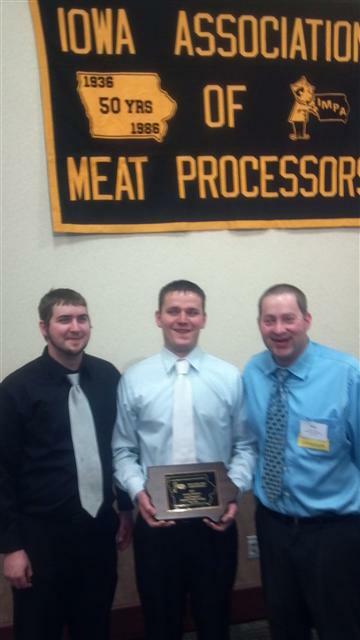 Polashek's Locker wins 1 award at the 76th Iowa Meat Convention. 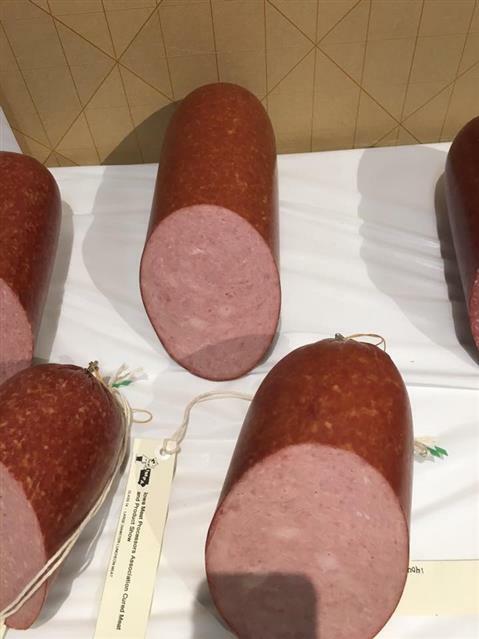 Polashek's Locker wins Reserve Champion for Ring Bologna in the Best of Midwest Cured Meat Competition at the Annual Meat Convention. The Best of the Midwest Competition is a competition that consists of four states, Iowa, Missouri, Nebraska, and Kansas. We are proud to bring home an award from a competition that consisted of four states. 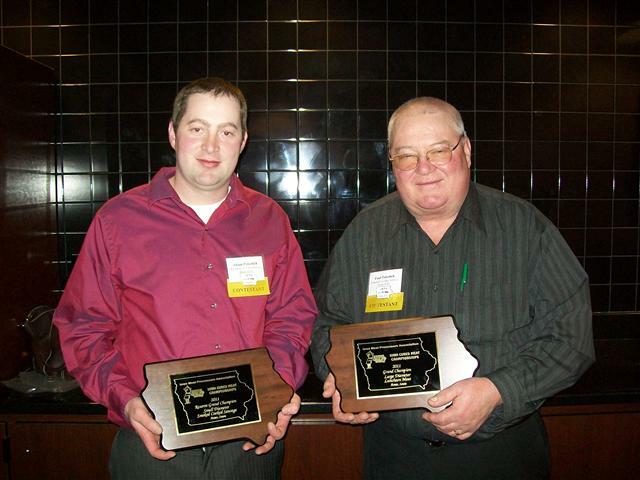 Polashek's Locker wins 2 awards at the 75th Annual Iowa Meat Convention. 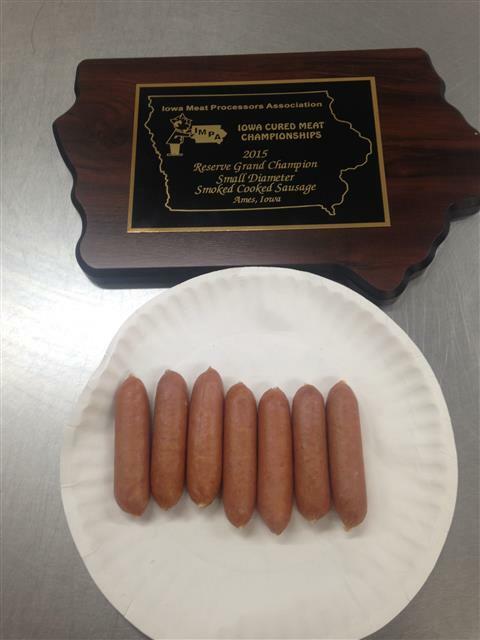 Grand Champion, #1 in the state, Paul's Lunch Meat and Reserve Grand Champion, #2 in the state, Smokies. 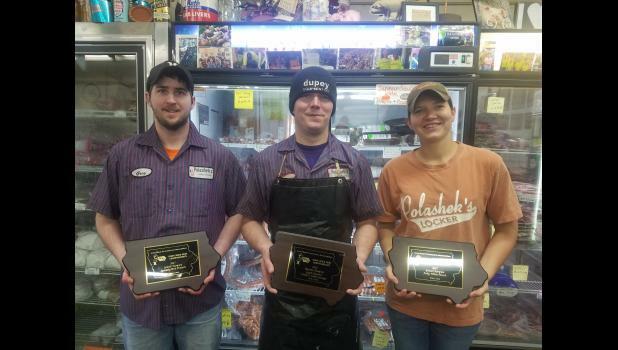 Polashek's Locker wins 3 awards at the annual Iowa Meat Convention. Paul, Judy and Adam Polashek from Polashek’s Locker Service, Inc. in Protivin attended the 73rd Annual Convention & Trade Show of the Iowa Meat Processors Association. The event was held at the GatewayHotel & ConferenceCenter and the ISU Meat Laboratory in Ames on Feb. 20-22. The conference was attended by processors from 40 Iowa plants and vendors from a wide variety of companies displayed their products and explained their services to those in attendance at the trade show on Friday and Saturday. The convention participants attended seminars on the processing of beef and pork as well as other topics related to the management and designs of their businesses. The educational sessions on Friday were held at the ISU Meat Laboratory under the direction of Extension Meat Specialist, Dr. Joe Cordray and other meat science staff members from IowaStateUniversity. In addition to the ISU presentations, there were presentations given by speakers from CIRAS at IowaStateUniversity, VAA Extension at ISU and Doug Gross, Attorney At Law, Des Moines. 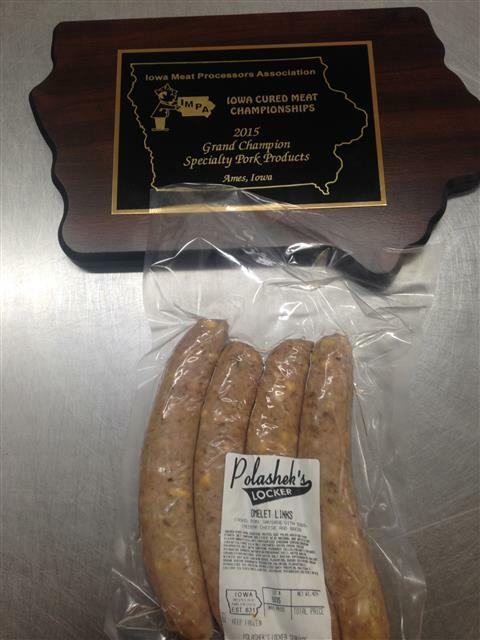 Polashek's Locker wins 2 awards at the annual Iowa Meat Convention. 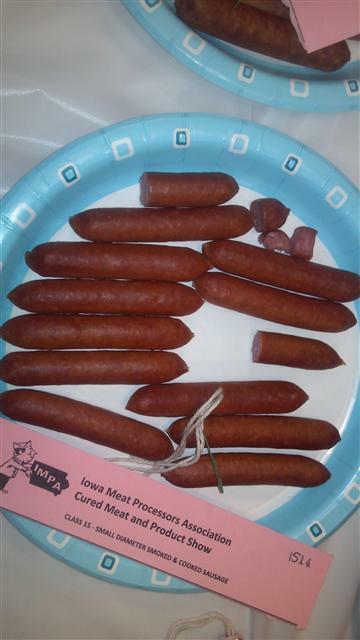 The annual Iowa meat convention was held February 14th-17th in Ames, Iowa. On Saturday night an awards banquet was held and Polashek's Locker was the winner of two awards. Protivin – Paul, Judy, and Adam Polashek from Polashek’s Locker Service Inc. attended the annual Iowa Meat Processors Association. The 72nd Annual Convention & Trade Show of the Iowa Meat Processors Association was held at the Gateway Hotel & Conference Center and the ISU Meat Laboratory in Ames, Iowa on February 14-17, 2008. Processors from 48 plants and vendors in 41 booths were in attendance for the training sessions and the trade show. The conference participants attended seminars on a variety of processing techniques used on beef, pork, fabrication of specialty cuts from the chuck, and sausage techniques at the ISU meat lab under the direction of meat extension specialist, Dr. Joe Cordray, and other staff members from the Iowa State University. 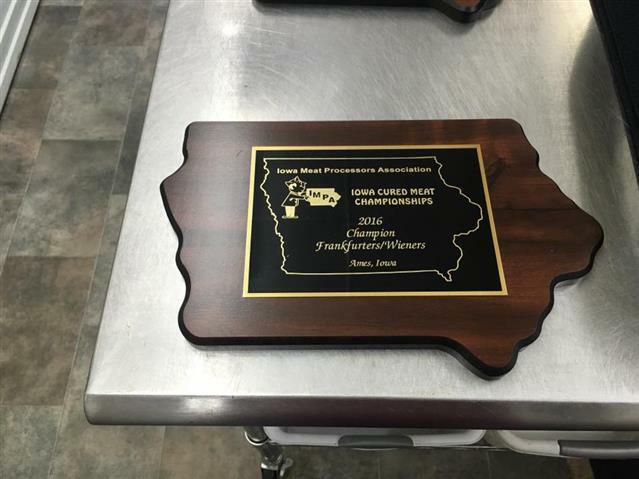 Dr. Cordray was in charge of the Iowa Cured Meats competition and the “Best of the Midwest” with entries from Iowa, Nebraska, Kansas, and Missouri held on Saturday. 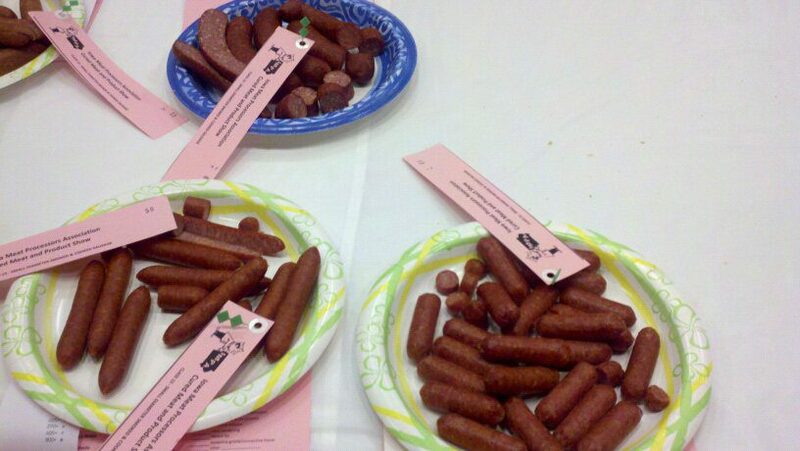 There were 400 entries of processed meats in twenty classes of the competition. The “Best of the Midwest” competition was based on four classes and all were entries were evaluated by judges from Iowa State University. Polashek’s Locker is celebrating 25 years in the meat business in March of 2008 and would like to thank everyone who has helped us reach this outstanding milestone.